Slade Wilson, A.K.A. Deathstroke The Terminator, is one of the most dangerous men in the world. A highly trained mercenary and bounty killer, there is no job that he deems impossible. Clearly a villain, Deathstroke still operates within his own sense of morality. He will never leave a contract incomplete, knowing that his business will only be as good as his word. That said, he would kill anybody without hesitation if he feels the ends justify the means. Deathstroke�s lifestyle has taken him all over the world, leaving a trail of blood and horror in his wake. 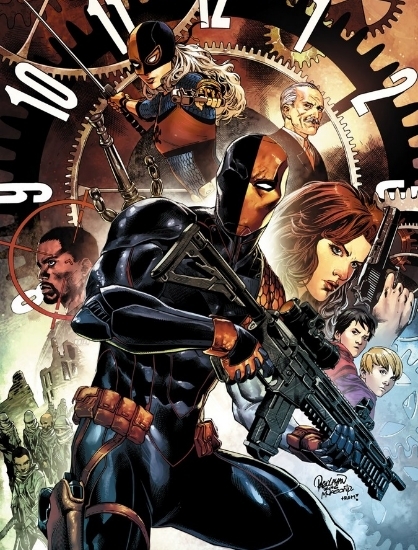 His operations with the highly classified Team 7 and many of his other contracts have left him with countless enemies, something Deathstroke is more than happy to rectify� with his gun. Perhaps Slade�s only weakness is his interactions with his family members, of whom the total number is currently unknown.